A bit of preamble, I’m including games new to me in 2017, not just newly released. I also include Nintendo Switch games here, because I’ve played the system undocked at least 80% of the time. Anyway, I knew I’d enjoy Stardew Valley, but held off because I knew it would be a huge time sink. I steeled myself to wait for the Switch release once that was announced, and I ended up putting over fifty hours into the game over the course of a month or two. However, I feel that I’ve gotten what I wanted out of Stardew Valley, and I’m unlikely to go back to it, which is why it’s on the outside looking in for 2017. It may have just been a demo, but the five hours I spent with the demo for Project Octopath Traveler accomplishing everything of note was one of the finest RPG experiences I’ve had this year. I love the art style, the combat, the different music styles, and the story, all of which is much more intriguing than I expected. If this were a weaker year, I could definitely see this five hour snippet be in my top 10. 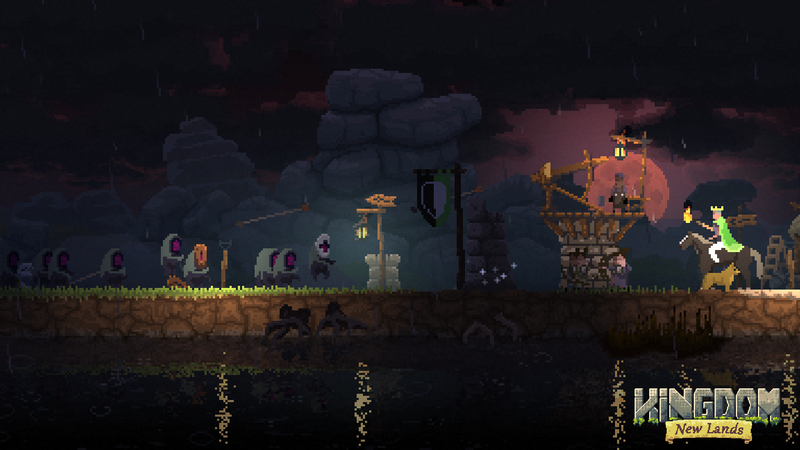 The first (not counting Stardew) of several indie titles to make this list, I was interested in Kingdom: New Lands hearing about its sequel, Two Crowns, that was in Nintendo’s indie spotlight in early 2017. I had actually bought the game thinking it was that, but it didn’t dampen my excitement for the side-scrolling RTS. 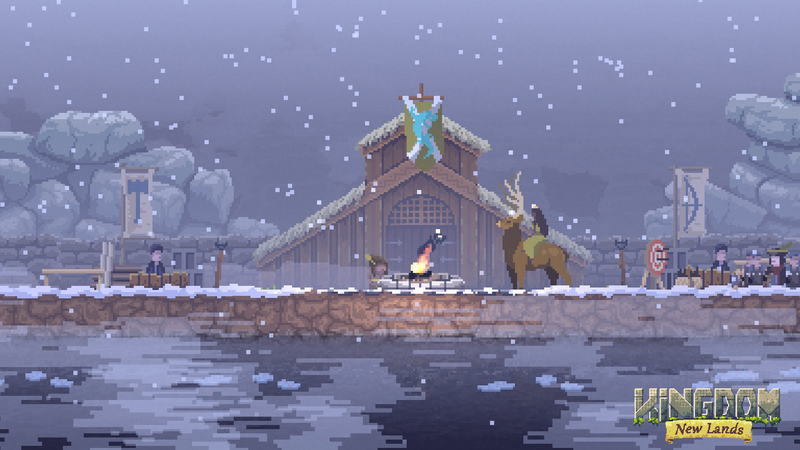 It’s a beautiful game with gorgeous pixel art depicting a wild, forlorn land with several different weather effects. The music is also a plus, being largely ambient, adding to the mystery, tension, and anxiety of the game as you try to escape each island. 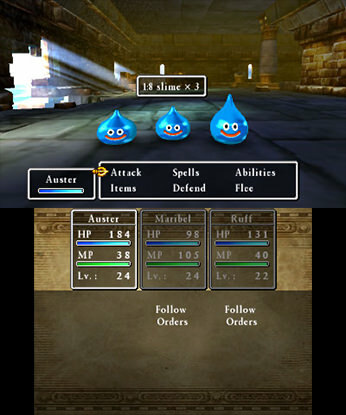 The gameplay was a treat in first playing, as the game doesn’t explain anything, but the controls are so simple that you don’t need it to. 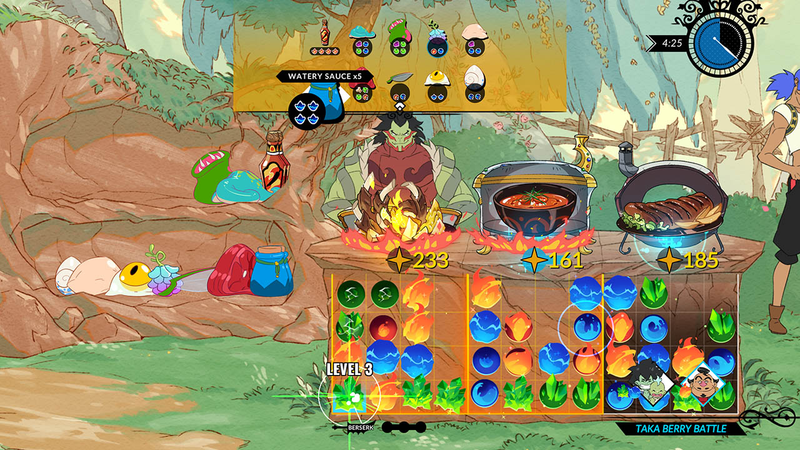 Going in blind, it’s up to you to figure out what each item does, what to spend your coins on, and how to even win. Indies have gotten plenty of love in 2017, but I feel Kingdom: New Lands was one of the lesser sung standouts, especially with how early it was released. Yes, I listed two games, but they are so similar that it doesn’t matter. The former came out on the Switch, giving me hope for future S titles, and the latter on the 3DS, in what I assume is the cap off for an amazing run on the portable. 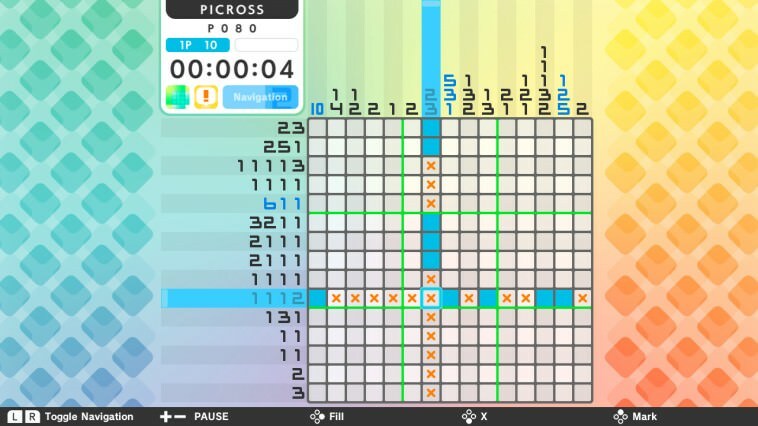 I love the Picross series, as I think it’s the best puzzle series in gaming. 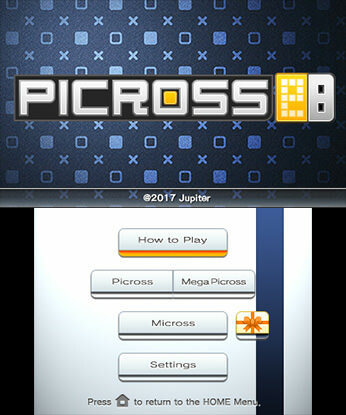 The only thing lacking is the presentation and background music, of which 2016’s Picross 3D Round 2 is vastly superior in. But regardless, a meaty Picross game will always have the chance of gracing my top 10 of the year list. 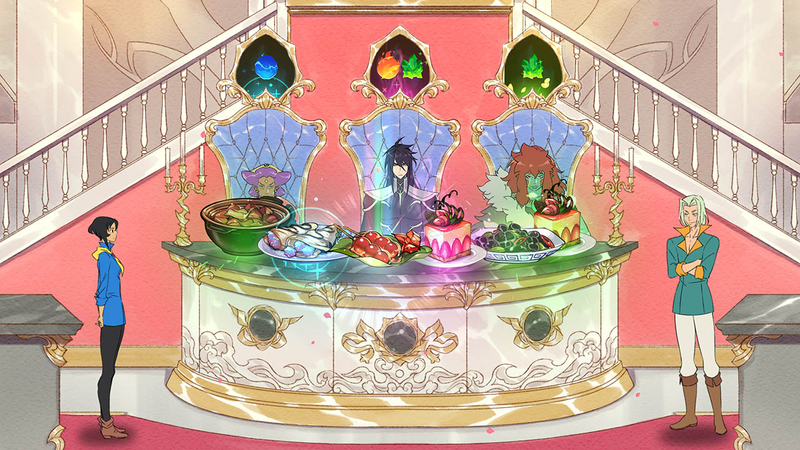 Battle Chef Brigade was a surprise to me. First shown at the Nintendo indie spotlight, I wasn’t too hot on the aesthetic and didn’t understand how the game's two genres would mesh. 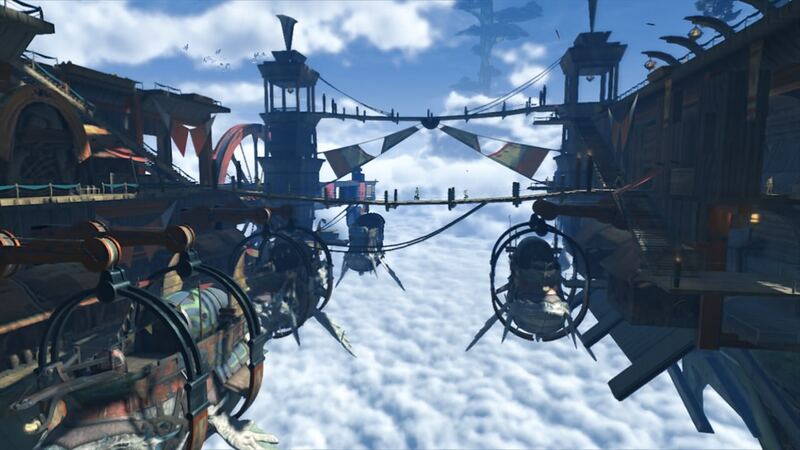 Fast forward to the game’s release and the positive buzz around it, and what I found was a very charming match-3 puzzler with fairly decent action mechanics. The art style looks very good in motion, and the gameplay feels fast, fluid, and tense throughout. While the game felt like a perfect length, I do want more, either with DLC offering some extra flair or a sequel sometime down the line. Disclaimer: I’ve yet to finish Xenoblade Chronicles 2. I’m currently fifty hours in as of writing this, but I can safely say that the gameplay and what I’ve seen/heard so far of the story/soundtrack puts this solidly in my list. 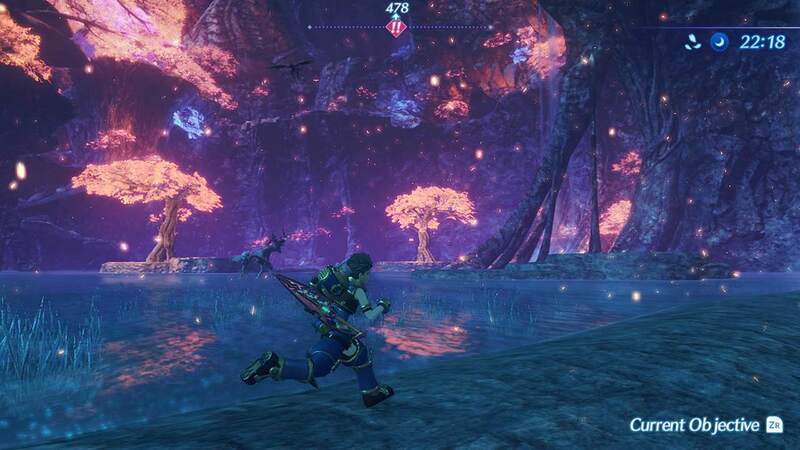 Surprisingly, this is the first Xenoblade game I’ve put any significant amount of time into, but the vast world, the wonderful soundtrack, and the vibrant characters have really been a joy to behold. Only further play will decide whether it’ll rise or fall in my list, but I have a sneaking suspicion it’d squeeze into the top 5. Sometimes I forget that I enjoy non-simulation sports games, though I remember enjoying a few golf games in the past. 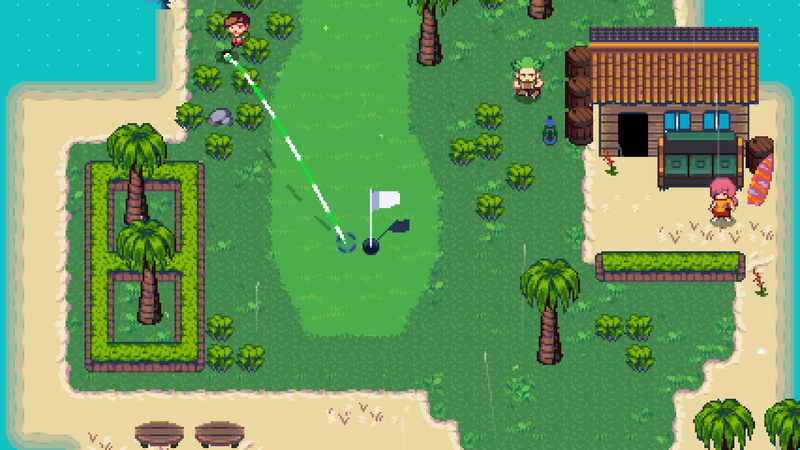 With a lot of people talking about a different golf game a short while before Golf Story came out, I was ready to play something golf-related. 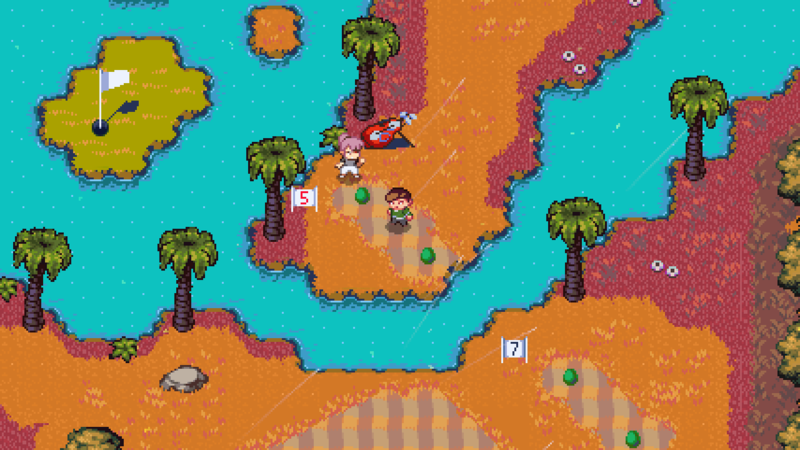 What I didn’t expect was such a funny, charming golf game with tons of side-quests and challenges that made the game feel constantly fresh and exciting. The humor was unexpectedly self-deprecating, the characters had amusing quirks, and the gameplay of the three taps fit perfectly. The added modes of minigolf, disc golf, and drone golf were nice, albeit short interludes if you felt a need to break up the normal golfing. Yeah, I’m counting this. I feel like this is a bit of a cheat as I count the original Dragon Warrior VII among my favorites of all-time, but I finally got around to starting this game this year and it’s just as good as I remember. Unfortunately, I was one of those people who enjoyed the longer beginning, as it helped to give more impact of a single, solitary island in a large world. The other quality of life improvements really help out the game, especially as it’s a title I play on the side. I fear I won’t beat it in time for Dragon Quest XI, but that doesn’t matter too much. 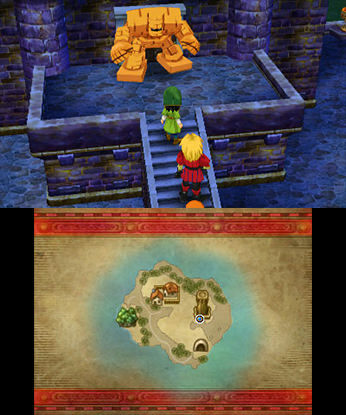 The fantastic thing about Dragon Quest VII is not the overarching story, but the small town/island vignettes that have become the staple of Dragon Quest storytelling. While some are better than others, each is memorable and serve to build out a world the heroes once thought was just a tiny island drifting alone. 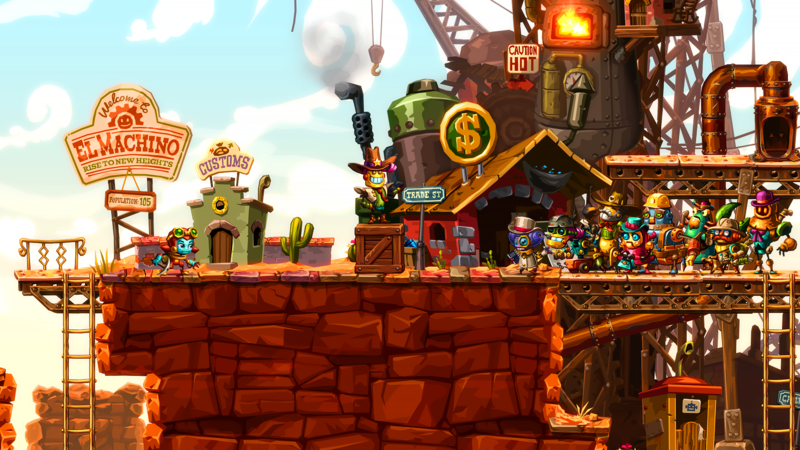 I am a huge fan of Image & Form starting from when they first released SteamWorld Dig on the 3DS. 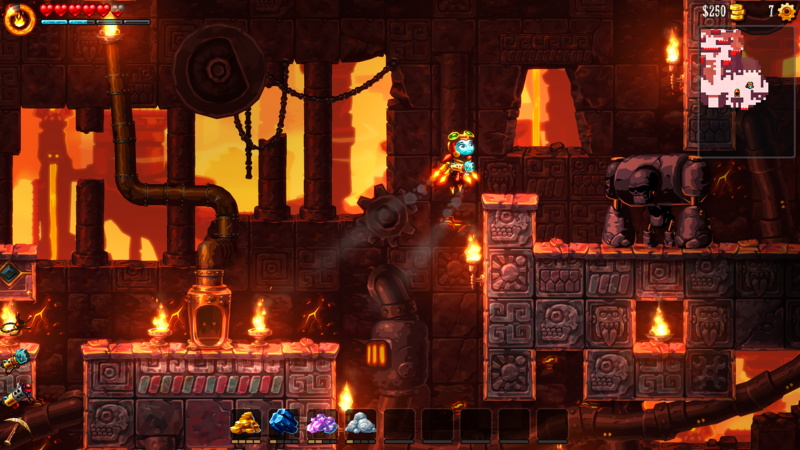 Then SteamWorld Heist came out and now Dig 2, and as such I can safely say they are an indie studio that I would buy a game from sight unseen. Dig 2 brought back everything that I loved about the first game and improved upon it in every way. The studio retained smooth as butter platforming; the ever addicting gameplay loop of digging, collecting ore, selling, and upgrading; and the tight, challenge caves that broke up the flow when things were starting to get too repetitive. Add to that the handcrafted level design, more upgrades, a solid soundtrack, more bosses, areas, and challenge rooms, and you pretty much have what amounts to a perfect sequel. The only thing that I can really find a flaw in with Dig 2 is the same thing I said about Dig 1: It felt short and left me wanting more. It’s the game that very few had faith in, at least until E3 happened. 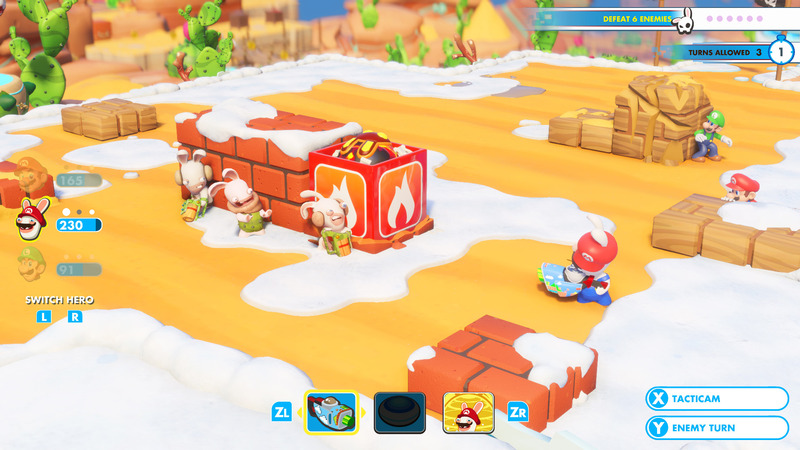 An unnatural pairing, Mario + Rabbids took the gaming world by surprise, and rightly so. It was a Mario version of XCOM and what can I say besides, “yes please”? As someone who loves turn-based strategy games/RPGs, this game hit the spot. It was mildly difficult, especially to get perfect, with enough customization and different team line ups to suit a particular playstyle or mission. Being a fan of XCOM too, this game takes that formula and gives it a uniquely Mario twist with the extremely fun and satisfying array of movement compared to other grid-based strategy games. I did find the exploration the weakest section of the game, but it did the job of pacing the battles out. This is the game for which I most want a full sequel. Like the next title, I don’t have a pedigree of completing past games of its ilk. As much as I love Super Mario World, I never fell in line with playing many of the other recent outings besides Super Mario 3D World. 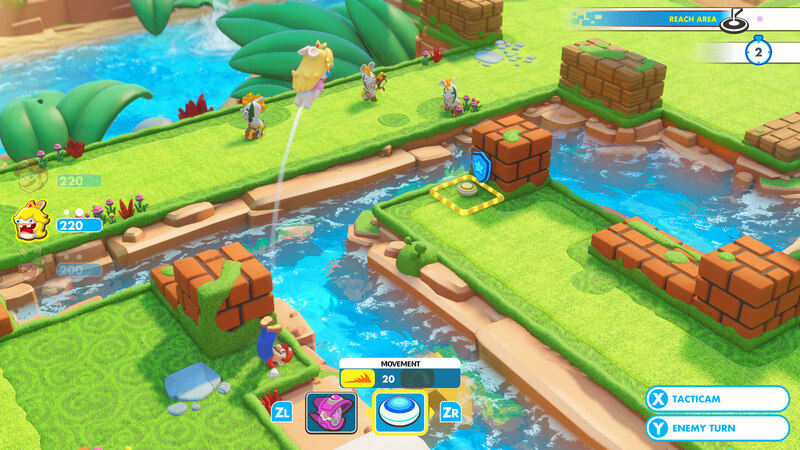 I very much enjoyed that on the Wii U, being a 3D version of a straightforward 2D Mario game. 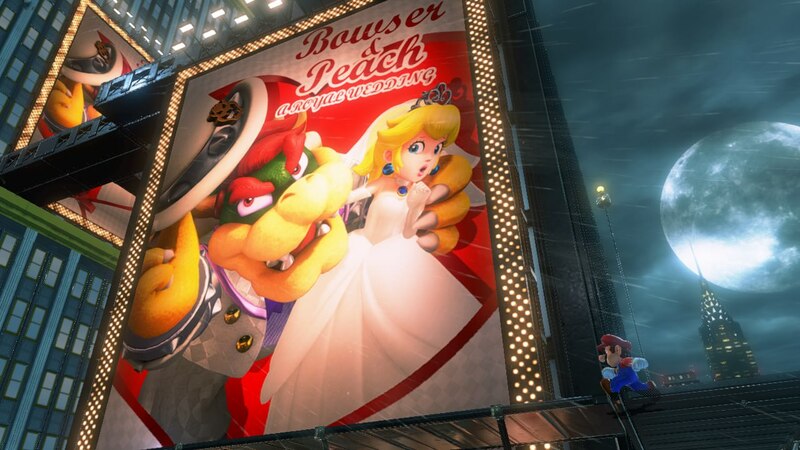 Despite that, I was excited for Odyssey, but tempered my expectations as I didn’t know what to expect after being lukewarm on Super Mario 64 (though I only played on the DS version to be fair). More and more, I think that the act of exploration with a reward is one of my favorite things to do in video games. It’s just fun to jump around, seeing what’s over the next hill or around the corner. 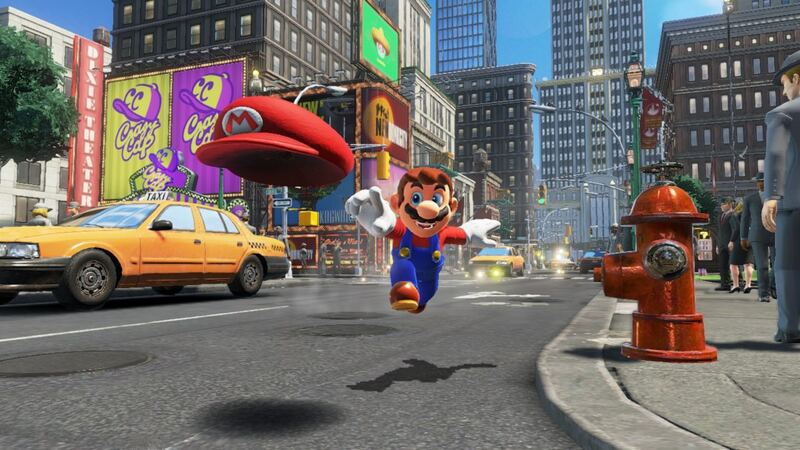 Cappy adds so much to Mario’s repertoire that it was just a joy to move in the world. Not to mention the Pokio enemy, that could easily star in a platforming game of its own. Like others though, I did find the vast majority of the game easy and wish there was more of an even distribution of challenge throughout the game. Shout out to "Jump Up, Super Star! ", though, as it's the best song of the year. I can’t tell you how many times I’ve listened to it, but it’s fantastic, fun, and cheerful, which embodies this game completely. What can I say that hasn’t been said already? 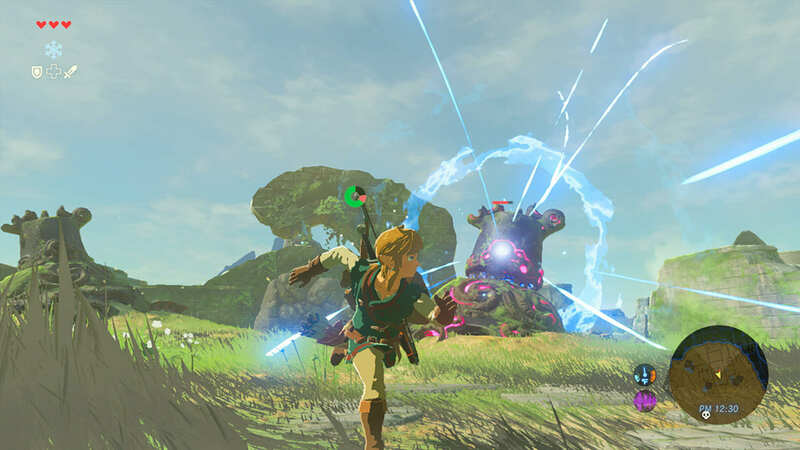 As someone self-proclaimed to have disliked the idea of open-world gaming and who has never beaten a 3D Zelda, Breath of the Wild was a revelation that I spent over 100 hours in. 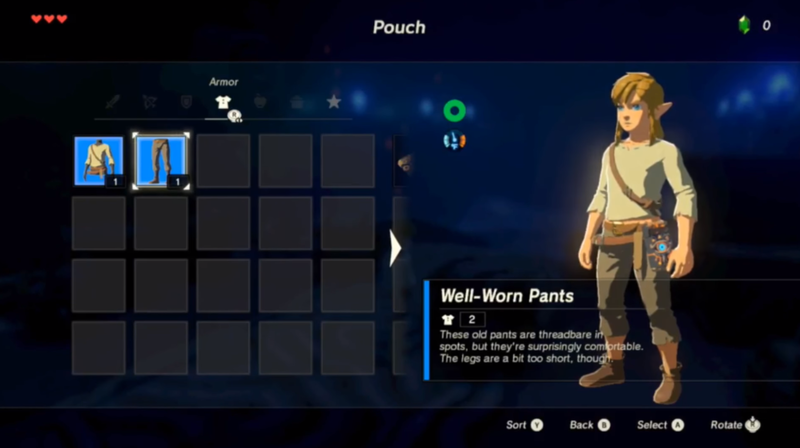 From starting in the Great Plateau where Link is a weakling and must scrap for every resource he can to the end game when he’s upgraded his Sheikah Slate and gained the powers of the four champions and everything in between, the game is a straight joy to play. The wonder of exploration, of seeing something in the distance and getting distracted from your previous goal for hours is so ingrained within the game, and it is glorious. As an oddball opinion, I also enjoyed weapons breaking as it created a balance in the game that would have been askew if weapons were indestructible. While the soundtrack doesn’t have many standouts that I would listen to outside of the game, the way music and sound is integrated within the game is masterful. I missed the time when Ocarina of Time set the standard for 3D action/adventure, but I can say now that I was there when Breath of the Wild changed the landscape of open-world games.